Large/X-Large - $59.99 Only 2 left! Never listen when someone posits that you may be taking this Day of the Dead thing too far. Dia De Los Muertos is a sacred holiday and you should celebrate how you see fit—supposing your ancestors approve, of course! Maybe it's worth double-checking the tidiness of that ol' ofrenda. Maybe make sure the sugar skulls are in order and the shots of Mezcal are ready for the taking. 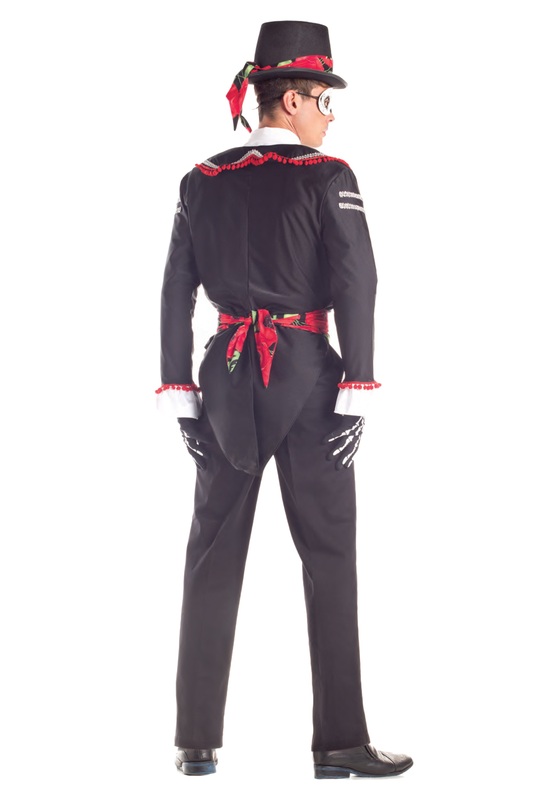 You don't want to worry about ancestral spiritual wrath when you are the best-dressed Calaca at the festival! 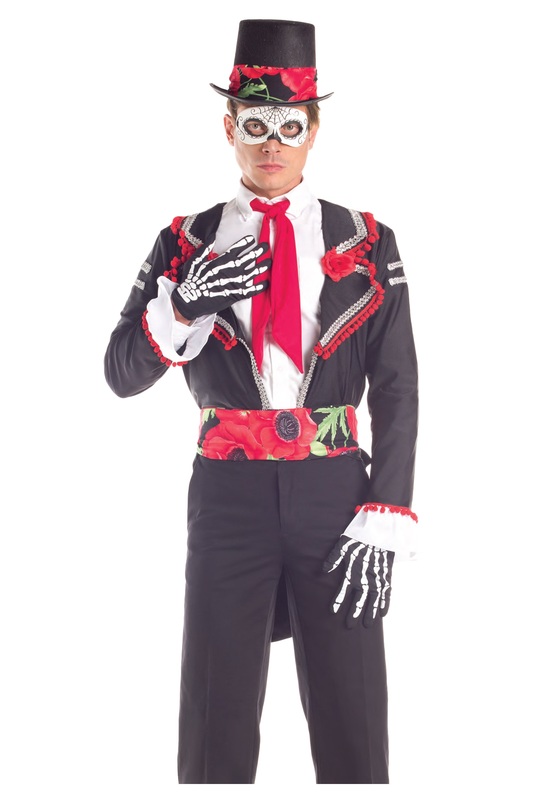 And that will be the case with this Adult Day of the Dead costume, complete with a floral print waist sash, black gloves with printed hand bones, and a felt top hat. Pair it with the included molded plastic eye mask to get the appearance of a walking undead, back for one last epic fiesta—or just to hear what your family members had to say about you.